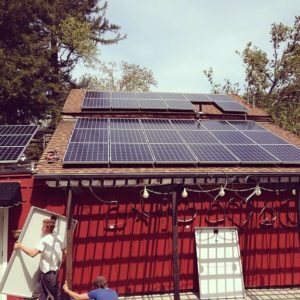 Chouinard is getting solar panels! We finished our installation of our fantastic Solar Panels. We are saving energy for important things. It works great and we are sure that we get more then enough sun up here in the canyon to keep our panels happy.